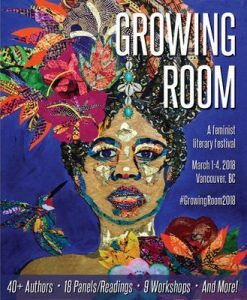 Growing Room: A Feminist Literary Festival returns from March 1-4, 2018 at various venues in Vancouver, BC. Betsy Warland will be at Growing Room on Saturday and Sunday, where she will be participating in and moderating panels, respectively. 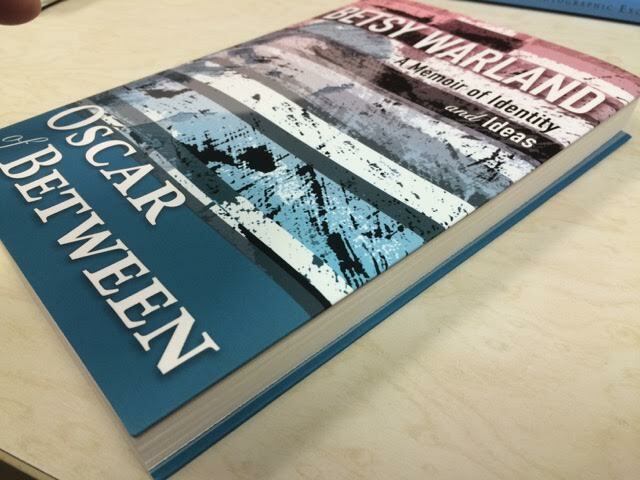 Writers of memoir often bring together the best of all genres, blurring the boundaries of poetry, biography, fiction, history, and philosophy to create a genre-busting reading experience. Gear up for an engaging conversation with writers Leanne Dunic, Chelene Knight, Ijeoma Oluo, Bev Sellars, and Betsy Warland on how they have each approached the art of telling their histories. 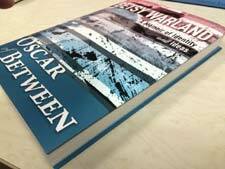 Writing can be a powerful way of healing after trauma; however, the process can also trigger painful memories and emotions. How do we know when we’re ready to write about our most difficult experiences? (Are we ever “ready”?) How do we take care of ourselves as we tear open old wounds to bleed onto the page? In this intimate panel, four authors discuss the challenges of writing about grief and trauma—how to take care of oneself when diving deep into pain, and whether the journey, ultimately, can lead to greater healing.